Here are six FREE Kindle books for you in the Amazon Kindle store to peruse as I am certain you are debating reading your Kindle vs. watching the Olympics (or both): as of this posting, each of the books was free on the Amazon website but please make sure you check the pricing before you smack the “buy” button as the pricing can (and does) change at any time! 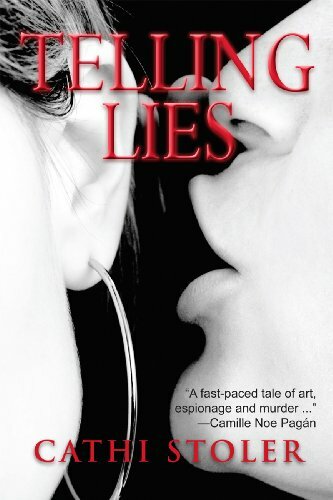 Telling Lies by Rachel Devenish FOrd has received an average user rating of 4 out of 5 stars based on 36 customer reviews. USA subscribers: click here or type in http://amzn.to/OpormG into your web browser to receive your free copy. UK subscribers: click here or type in http://amzn.to/QV1ngg into your web browser to receive your free copy. 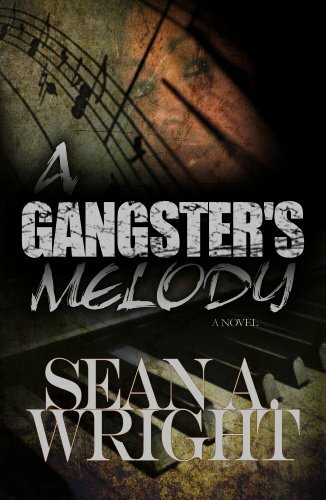 A Gangster’s Melody by Sean A. Wright has received an average user rating of 4.5 out of 5 stars based on 113 customer reviews. Loving the one who loves the streets is a dangerous game. There’s a war brewing. Bodies are piling up. Money is being stacked up. Loyalties are being tested. How will a displaced small town girl handle the pressures of living the big city life and all that comes with it when the trail of murders, drugs and blood-money leads to her doorstep? USA subscribers: click here or type in http://amzn.to/OvqjXw into your web browser to receive your free copy. UK subscribers: click here or type in http://amzn.to/Oy5vjS into your web browser to receive your free copy. 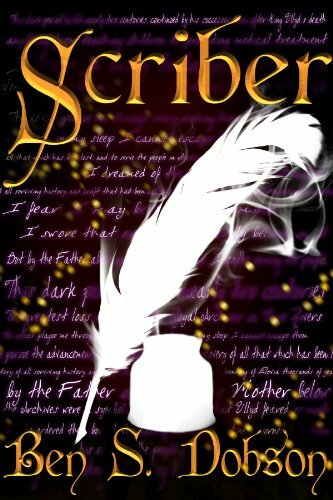 Scriber by Ben S. Dobson has received a perfect 5 out of 5 stars based on 63 customer reviews. Disgraced scholar Dennon Lark only wants to be left alone in his self-imposed exile—an exile that ends when a rebel army wielding impossible powers launches a series of brutal attacks on villages across the Kingsland. Forced from his home, Dennon is drawn back into a world he wants nothing to do with. His research into the kingdom’s lost past—the very research that sent him into hiding—may hold the answers to a great many questions about the rebels. Questions about their shadowy motives; about their mysterious abilities; and about their ever-increasing numbers, constantly bolstered by those thought killed in their attacks. And only the King’s infamous warrior niece Bryndine Errynson and her company of female soldiers trust him enough to help him find the truth before the rebels burn the Kingsland to the ground. Following a trail of historical clues across the kingdom and pursued by forces they don’t fully understand, Dennon and Bryndine may be the realm’s only hope. But in order to preserve the Kingsland’s future, they must first uncover its past. USA subscribers: click here or type in http://amzn.to/sOK9Vk into your web browser to receive your free copy. UK subscribers: click here or type in http://amzn.to/Ovqzpw into your web browser to receive your free copy. 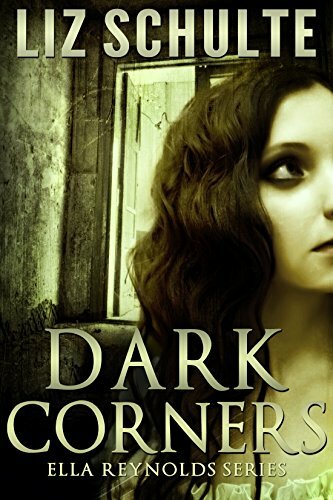 Dark Corners by Liz Schulte has received an average user rating of 4.5 out of 5 stars based on 59 customer reviews. USA subscribers: click here or type in http://amzn.to/QC6LjS into your web browser to receive your free copy. UK subscribers: click here or type in http://amzn.to/N55rF7 into your web browser to receive your free copy. 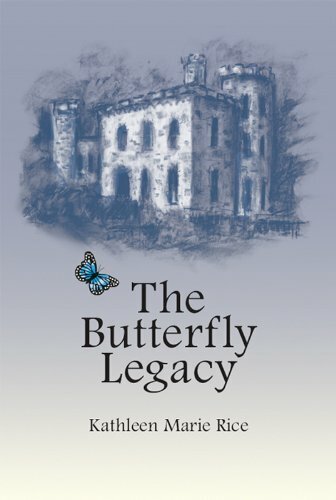 The Butterfly Legacy by Dr. Kathleen Marie Rice has received an average user rating of 4.5 out of 5 stars based on 30 customer reviews. UK subscribers: click here or type in http://amzn.to/Me1naY into your web browser to receive your free copy. It’s Good to Share by Brittany Hudson and Alyssa Barkley has received a perfect 5 out of 5 stars based on 14 customer reviews. This is children’s author Brittany Hudson’s debut book for Sakura Publishing. This book is, simply put, about sharing and what it means for a child to share his toys with another child. 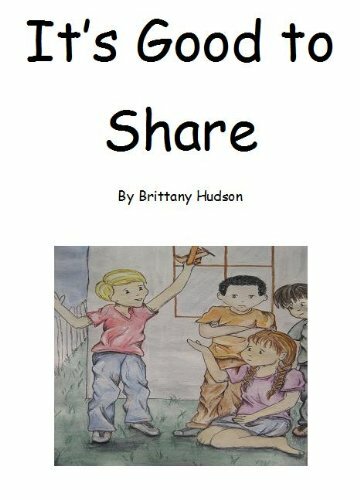 The book is very very short and includes pages in the back for parents to write their own ideas about sharing in or for their children to color in their own stories about sharing. If you are a parent looking to buy a great book about sharing for your little one, this is the book for you! Suggested age for reading and showing is 3-8 years old. USA subscribers: click here or type in http://amzn.to/MUk67G into your web browser to receive your free copy. UK subscribers: click here or type in http://amzn.to/PVzQcL into your web browser to receive your free copy. Here are three FREE Kindle books for you in the Amazon Kindle store to start off your Sunday: as of this posting, each of the books was free on the Amazon website but please make sure you check the pricing before you smack the “buy” button as the pricing can (and does) change at any time! 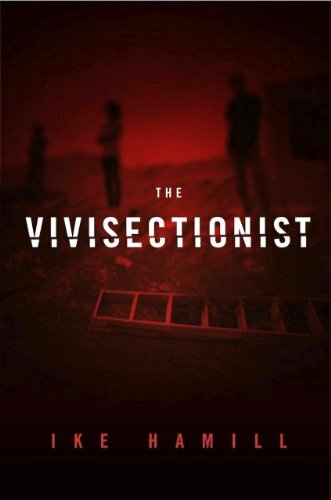 The Vivisectionist by Ike Hamill has received an average user rating of 4.5 out of 5 stars based on 36 customer reviews. I received a note from the author saying this book would be free through July 31st. USA subscribers: click here or type in http://amzn.to/K6PR9F into your web browser to receive your free copy. UK subscribers: click here or type in http://amzn.to/K1e8Et into your web browser to receive your free copy. The Boots My Mother Gave Me by Brooklyn James has received an average user rating of 4.5 out of 5 stars based on 23 customer reviews. I received a note from the author saying this book will be free through July 30th. USA subscribers: click here or type in http://amzn.to/LVNWeo into your web browser to receive your free copy. UK subscribers: click here or type in http://amzn.to/QzdzyQ into your web browser to receive your free copy. 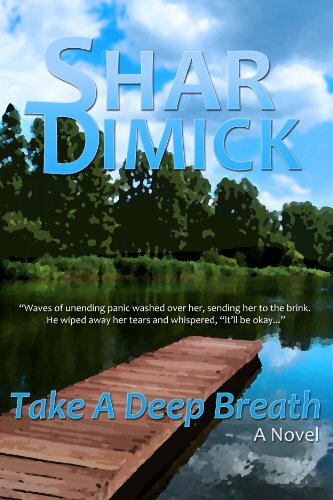 Take a Deep Breath by Shar Dimick has received an average user rating of 4.5 out of 5 stars based on 8 customer reviews. I received a note from the author saying this book would be free through July 31st. Cam quit his busy big-city medical practice exhausted and disillusioned. He returns to his family’s summer home on Lake of the Pines to regroup and determine where and what he wants to do next. When he runs into Liv, the girl he let slip away, he knows where wants to head and with whom. When Cam meets Liv’s eight-year-old daughter, he assumes Liv is married. He struggles to keep his feelings for Liv in check while resuming the friendship he desperately misses. His one regret was not kissing Liv all those years ago when he had the chance… He has never stopped loving Liv. Will he let her slip away again? Not if he has his way. USA subscribers: click here or type in http://amzn.to/MrSsOy into your web browser to receive your free copy. UK subscribers: click here or type in http://amzn.to/OwNnae into your web browser to receive your free copy. Here are seven FREE Kindle books for you in the Amazon Kindle store to start off the weekend: as of this posting, each of the books was free on the Amazon website but please make sure you check the pricing before you smack the “buy” button as the pricing can (and does) change at any time! 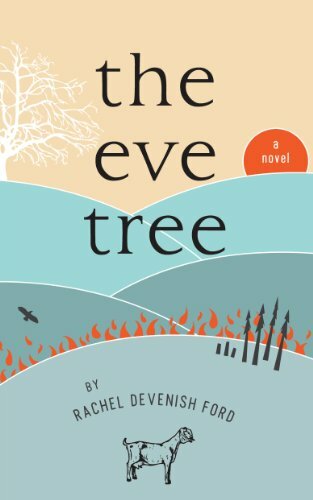 The Eve Tree by Rachel Devenish FOrd has received an average user rating of 4.5 out of 5 stars based on 31 customer reviews. I received a note from the author saying this book would be free through July 30th. USA subscribers: click here or type in http://amzn.to/Mcz6RT into your web browser to receive your free copy. UK subscribers: click here or type in http://amzn.to/MLtDBK into your web browser to receive your free copy. 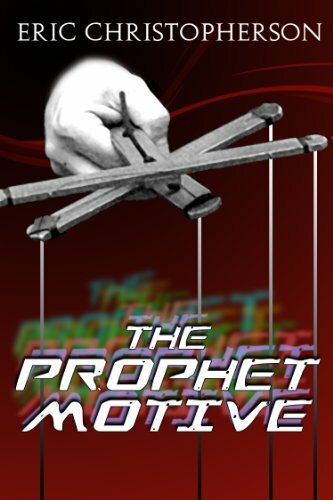 The Prophet Motive by Eric Christopherson has received an average user rating of 4.5 out of 5 stars based on 27 customer reviews. I received a note from the author saying this is the last day for this book to be free. San Francisco Homicide detective John Richetti spent part of his childhood living inside an infamous cult known as the People’s Temple. As a boy he’d lost his parents to cult-instigated mass suicide. The memories come flooding back when he investigates the bizarre suicide of a former member of Earthbound, a New Age cult–and suspects murder instead. To uncover the truth he infiltrates the group, along with police psychologist Marilyn Michaelsen. USA subscribers: click here or type in http://amzn.to/uXsBsz into your web browser to receive your free copy. UK subscribers: click here or type in http://amzn.to/OunwQj into your web browser to receive your free copy. 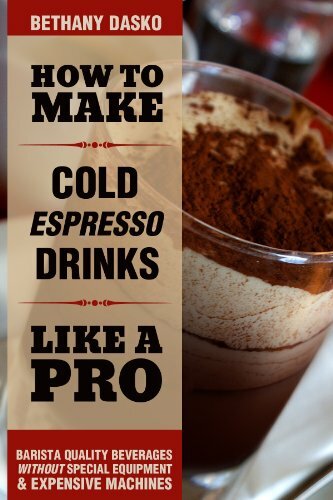 Make Cold Espresso Drinks Just Like a Pro by Bethany Dasko has received an average user rating of 4.5 out of 5 stars based on 9 customer reviews. I received a note from the author saying this book would be free through July 29th. Looking for the best iced coffee recipe? Want to learn how to make a frappuccino? In these economic times, many people have had to cut back on their coffee expenditures in order to save some money. In this book, you will learn from an ex-barista just how simple and easy it is to make your own iced and frozen espresso drinks and coffees without special equipment or expensive machines! USA subscribers: click here or type in http://amzn.to/PV6I5T into your web browser to receive your free copy. UK subscribers: click here or type in http://amzn.to/OlN6si into your web browser to receive your free copy. 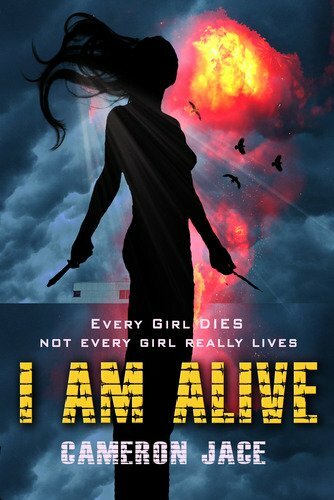 I Am Alive by Cameron Jace has received an average user rating of 4.5 out of 5 stars based on 22 customer reviews. I received a note from the author saying this is the last day for this book to be free. The only way the jury still knows that you’re still alive is to scream ‘I Am Alive’ as loud as you can every six hours. Lower your voice, and your dead. While Decca and Leo can’t stand each other, she will find out why she doesn’t fit into any rank, and why her mother tried to kill her when she was seven. USA subscribers: click here or type in http://amzn.to/O5BhFv into your web browser to receive your free copy. UK subscribers: click here or type in http://amzn.to/NayOF9 into your web browser to receive your free copy. The Mystery of Smugglers Cove by Paul Moxham has received an average user rating of 4.5 out of 5 stars based on 9 customer reviews. I received a note from the author saying this book would be free for today only. 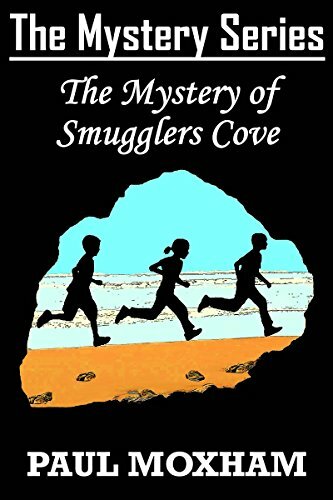 Description: When twelve year old Joe Mitchell, along with his two younger sisters, visits Smugglers Cove for the summer holidays, they get caught up in a thrilling adventure that is beyond their wildest imagination. Follow the children as they flee down a river, are chased by ferocious dogs, locked up in an old manor, get lost at sea, expose a spy, and more! USA subscribers: click here or type in http://amzn.to/O8vjAZ into your web browser to receive your free copy. UK subscribers: click here or type in http://amzn.to/LUAFCK into your web browser to receive your free copy. Heart of a Hero by Bill Tiner has received a perfect 5 out of 5 stars based on 8 customer reviews. I received a note from the author saying this book would be free through July 31st. 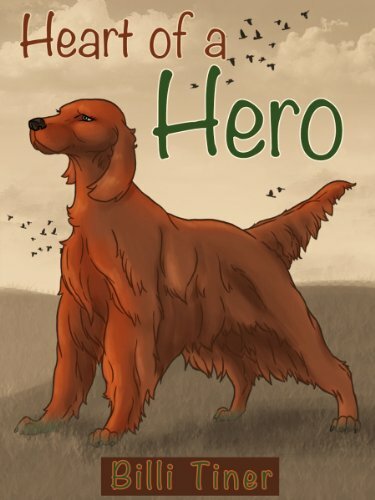 Lady, an Irish Setter puppy, is leading a simple life on a farm in Ohio during the 1940’s. Lady’s biggest desire is to become an expert hunting dog like her mother. She has no idea that her life is going to take her down a path where she will find herself in the middle of incredibly dangerous situations, including a world war. On several occasions, Lady will have to find the courage to risk her life in order to save someone she loves. The loyalty and bravery that Lady shows throughout her lifetime illustrate what it truly means to have the heart of a hero. USA subscribers: click here or type in http://amzn.to/Oupwrz into your web browser to receive your free copy. UK subscribers: click here or type in http://amzn.to/LYknEg into your web browser to receive your free copy. 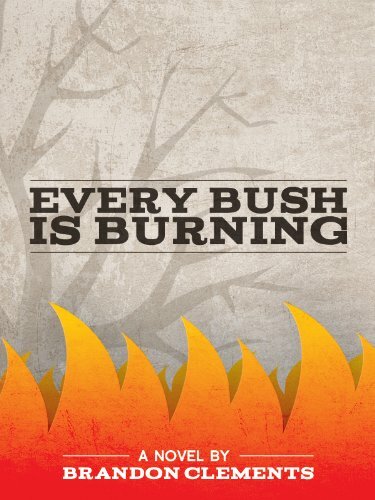 Every Bush is Burning by Brandon Clements has received a perfect 5 out of 5 stars based on 46 customer reviews. A gritty, emotionally gripping story about forgiveness, family, and the sometimes tragically painful sins of the church. USA subscribers: click here or type in http://amzn.to/OZoAYS into your web browser to receive your free copy. UK subscribers: click here or type in http://amzn.to/MThTLC into your web browser to receive your free copy. Before I tell you about the free book offers this afternoon, don’t forget you can get the updated FREE app to read this blog on your Kindle Fire or Android-based smartphone (i.e., Motorola RAZR, Samsung Galaxy, etc.) from either the Amazon App Store or the Google Play Store. Click here or type in http://bit.ly/NyIGOP into your web browser to learn how to get it – for free, of course! Here are seven more FREE Kindle books for you in the Amazon Kindle store for this hot Friday afternoon here in Houston: as of this posting, each of the books was free on the Amazon website but please make sure you check the pricing before you smack the “buy” button as the pricing can (and does) change at any time! 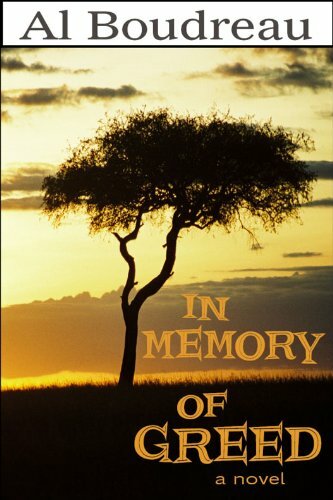 In Memory of Greed by Al Boudreau has received an average user rating of 4.5 out of 5 stars based on 62 customer reviews. A powerful, corrupt group of individuals have set their sights on Murhkin Mocado to help carry out a nefarious scheme. Born of relentless greed and hunger for power, these men are willing to sacrifice countless lives to bring their insidious plans to fruition. However, the purveyors of evil deeds are also being watched by one Joelle Barstow, an operative well versed in the tradecraft of industrial espionage. Initially sent to gather information on the CEO of a specific corporation, Barstow rapidly gets in over her head and uncovers a web of deceit involving big business and government. Once Barstow crosses paths with Murhkin Mocado her skills are pushed to the limit, as she tries desperately to navigate this dangerous and deadly world. Mocado, expertly manipulated by his devious handlers, initiates a chain of events leading to one of the worst man-made ecological disasters the world has ever known. Will the pair escape with their lives in order to bring those responsible to justice? USA subscribers: click here or type in http://amzn.to/xFtksL into your web browser to receive your free copy. UK subscribers: click here or type in http://amzn.to/Qn4rCV into your web browser to receive your free copy. 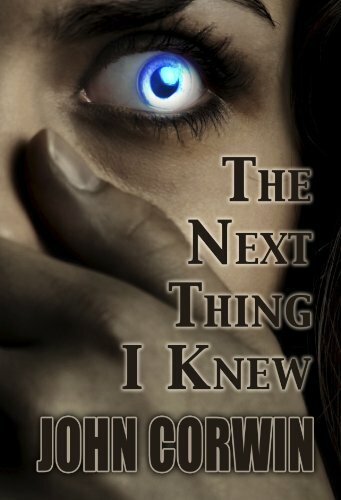 The Next Thing I Knew by John Corwin has received an average user rating of 4 out of 5 stars based on 20 customer reviews. But what they discover changes everything. And if they can’t figure out how to put their newfound ghostly powers to work, humanity will be extinct for good. USA subscribers: click here or type in http://amzn.to/LVMkwv into your web browser to receive your free copy. UK subscribers: click here or type in http://amzn.to/OiJO8U into your web browser to receive your free copy. 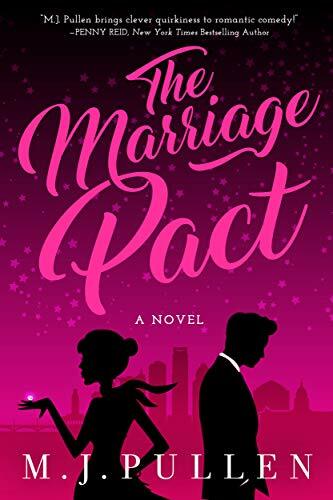 The Marriage Pact by M.J. Pullen has received an average user rating of 4 out of 5 stars based on 93 customer reviews. USA subscribers: click here or type in http://amzn.to/LVMILt into your web browser to receive your free copy. UK subscribers: click here or type in http://amzn.to/MKqmT5 into your web browser to receive your free copy. Gents With No Cents by Ron DeLegge, II has received an average user rating of 4.5 out of 5 stars based on 27 customer reviews. 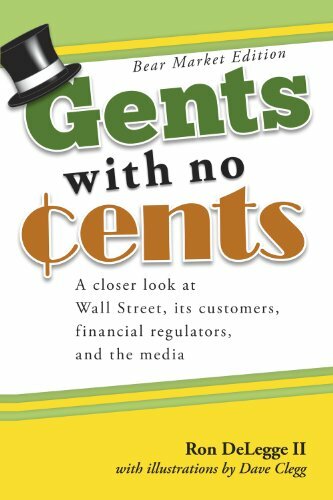 GENTS WITH NO CENTS explores a rarely examined side of Wall Street: Its childish antics. From accountants that can’t count, to financial regulators that don’t regulate, GENTS WITH NO CENTS will make you howl with laughter at their incompetence. Written by Ron DeLegge II, veteran radio host of the Index Investing Show, GENTS WITH NO CENTS is narrated in an easy going style with sharp satire throughout and 20 hand drawn illustrations by noted cartoonist, Dave Clegg. DeLegge draws from his personal experiences as a Wall Street salesperson with crazy supervisors and even crazier customers. He offers a refreshing perspective that’s opposite of the angry and condescending tone of financial literature that has come to characterize our era. media for misreporting the news, inventing questionable facts, and contributing to the public’s confusion. USA subscribers: click here or type in http://amzn.to/Ist8oa into your web browser to receive your free copy. UK subscribers: click here or type in http://amzn.to/Istprb into your web browser to receive your free copy. 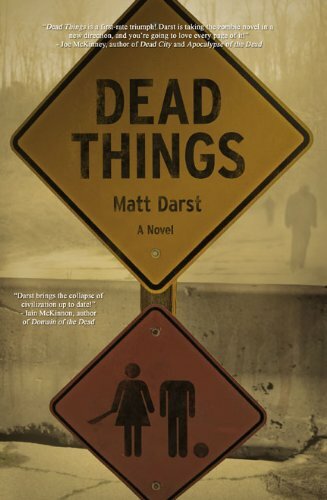 Dead Things by Matt Darst has received an average user rating of 4.5 out of 5 stars based on 45 customer reviews. Nearly two decades have passed since the fall of the United States and the rise of the church to fill the void. Science is heresy, and the dead must be decapitated to avoid an unholy resurrection. When a plane crash strands Ian Sumner and a band of survivors miles from the fortified walls of the church state, survival depends on secrets too dangerous to speak aloud. USA subscribers: click here or type in http://amzn.to/NyHYkJ into your web browser to receive your free copy. UK subscribers: click here or type in http://amzn.to/LSuXRO into your web browser to receive your free copy. 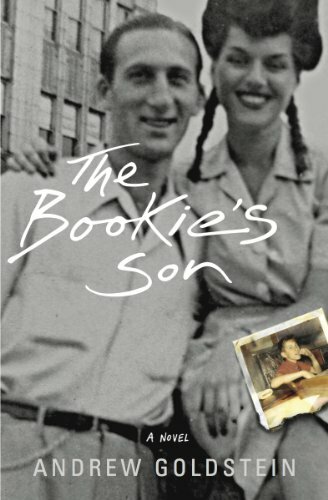 The Bookie’s Son by Andrew Goldstein has received a perfect 5 out of 5 stars based on 6 customer reviews. The year is 1960 and the place is the Bronx. All twelve-year-old Ricky Davis wants to do is play stickball with his friends and flirt with the building super’s daughter. But when his father crosses gangster Nathan Glucksman and goes into hiding, Ricky has to take over his father’s bookie business and figure out a way to pay back his debt—before the gangsters make good on their threats. Meanwhile, Ricky’s mother, Pearl, a fading beauty of failed dreams, plots to raise the money by embezzling funds from one of her boss’s clients: Elizabeth Taylor. Fast-paced, engrossing and full of heart, The Bookie’s Son paints the picture of a family forced to decide just how much they’re willing to sacrifice for each other—and at what cost. USA subscribers: click here or type in http://amzn.to/SXHsvQ into your web browser to receive your free copy. UK subscribers: click here or type in http://amzn.to/OiM9AX into your web browser to receive your free copy. 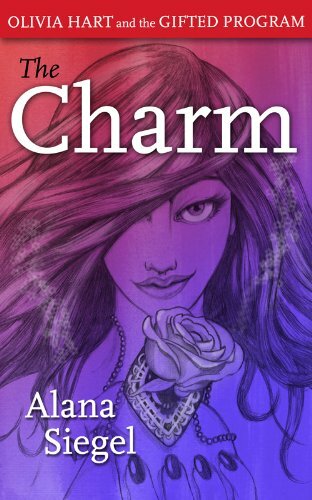 The Charm by Alana Siegel has received an average user rating of 4.5 out of 5 stars based on 27 customer reviews. USA subscribers: click here or type in http://amzn.to/MQr6Eh into your web browser to receive your free copy. UK subscribers: click here or type in http://amzn.to/MQri6G into your web browser to receive your free copy. Here are seven FREE Kindle books for you in the Amazon Kindle store for a Friday morning and, hopefully, a kick-start for the weekend: as of this posting, each of the books was free on the Amazon website but please make sure you check the pricing before you smack the “buy” button as the pricing can (and does) change at any time! 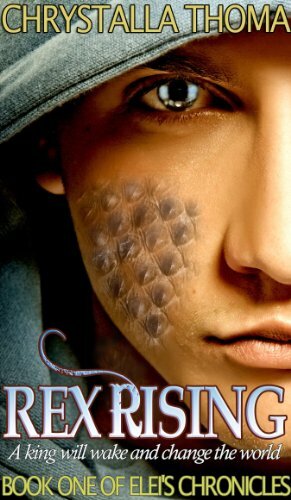 Rex Rising by Chrystalla Thoma has received an average user rating of 4.5 out of 5 stars based on 33 customer reviews. I received a note from the author saying this book would be free through July 28th. USA subscribers: click here or type in http://amzn.to/xw5ERj into your web browser to receive your free copy. UK subscribers: click here or type in http://amzn.to/KqsNGH into your web browser to receive your free copy. 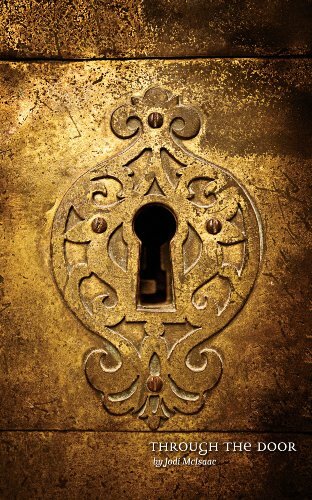 Through the Door by Jodi McIsaac has received a perfect 5 out of 5 stars based on 26 customer reviews. I received a note from the author saying this book would be free through July 29th. Celtic mythology and the modern world collide in Through the Door, the first book in the new urban fantasy series The Thin Veil. In a desperate search for answers, Cedar tries to track down Eden’s father, who mysteriously disappeared from her life before Eden was born. What she discovers is far beyond anything she could have imagined. As she joins unlikely allies in the hunt for her daughter, Cedar finds herself torn between two worlds: the one she thought she knew, and one where ancient myths are real, the stakes are impossibly high, and only the deepest love will survive. USA subscribers: click here or type in http://amzn.to/N716R3 into your web browser to receive your free copy. UK subscribers: click here or type in http://amzn.to/OqKNAE into your web browser to receive your free copy. Live from the Road by P.C. Zick has received a perfect 5 out of 5 stars based on 12 customer reviews. I received a note from the author saying this book would be free for today only. Meg Newton and Sally Sutton seek a change in the mundane routine of their lives. “Is this all there is?” Sally asks Meg after visiting a dying friend in the hospital. That’s when Meg suggests they take a journey to discover the answer. Joined by their daughters, they set off on a journey of salvation enhanced by the glories of the Mother Road. Along the way, they are joined by a Chicago blues man, a Pakistani liquor store owner from Illinois, a Marine from Missouri, a gun-toting momma from Oklahoma, and a motel clerk from New Mexico. Meg, mourning for her dead son, learns to share her pain with her daughter CC. When Sally’s husband of almost thirty years leaves a voice mail telling her he’s leaving, both Sally and her daughter Ramona discover some truths about love and independence. 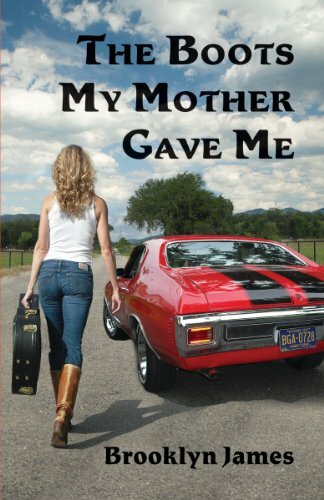 Live from the Road takes the reader on an often humorous, yet harrowing, journey. 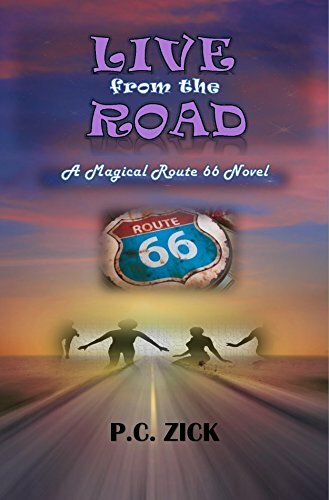 Death, divorce and deception help to reveal the inner journey taking place under the blazing desert sun as a Route 66 motel owner reads the Bhagavad-Gita and an eagle provides the sign they’ve all been seeking. Enlightenment comes tiptoeing in at dawn in a Tucumcari laundromat, while singing karaoke at a bar in Gallup, New Mexico, and during dinner at the Roadkill Café in Seligman, Arizona. The four women’s lives will never be the same after the road leads them to their hearts – the true destination for these road warriors. USA subscribers: click here or type in http://amzn.to/N0SFaA into your web browser to receive your free copy. UK subscribers: click here or type in http://amzn.to/O3qA3e into your web browser to receive your free copy. 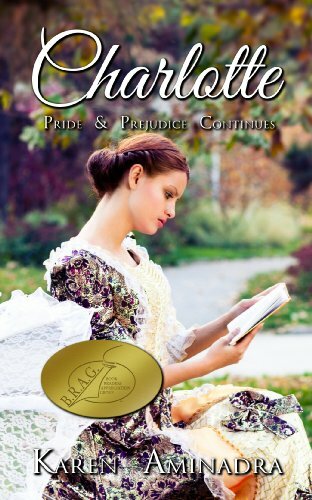 Charlotte: Price and Prejudice Continues by Karen Aminadra has received an average user rating of 4.5 out of 5 stars based on 16 customer reviews. I received a note from the author saying this book would be free through July 29th. But…after all, doesn’t every girl deserve a happy ending? USA subscribers: click here or type in http://amzn.to/P4YUd1 into your web browser to receive your free copy. UK subscribers: click here or type in http://amzn.to/MNaXxB into your web browser to receive your free copy. 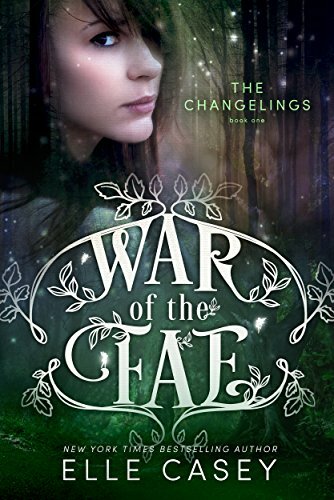 The Changelings by Elle Casey has received an average user rating of 4.5 out of 5 stars based on 76 customer reviews. I received a note from the author saying this book would be free through July 29th. USA subscribers: click here or type in http://amzn.to/JYcEnt into your web browser to receive your free copy. UK subscribers: click here or type in http://amzn.to/LSaPv9 into your web browser to receive your free copy. 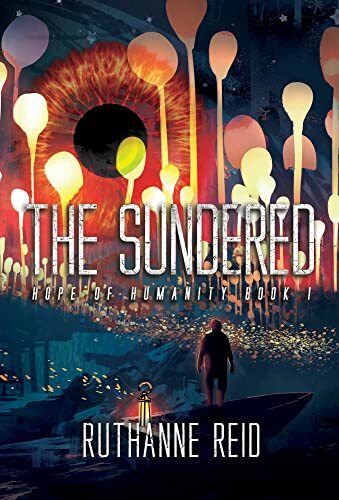 The Sundred by Ruthanne Reid has received a perfect 5 out of 5 stars based on 12 customer reviews. I received a note from the author saying this book would be free through July 29th. Don’t touch the water, or it will pull you under. Conserve food, because there’s no arable land. Use Sundered slaves gently, or they die too quickly to be worthwhile. while, but the Sundered are wiped out. USA subscribers: click here or type in http://amzn.to/MoLf1M into your web browser to receive your free copy. UK subscribers: click here or type in http://amzn.to/OoocXn into your web browser to receive your free copy. 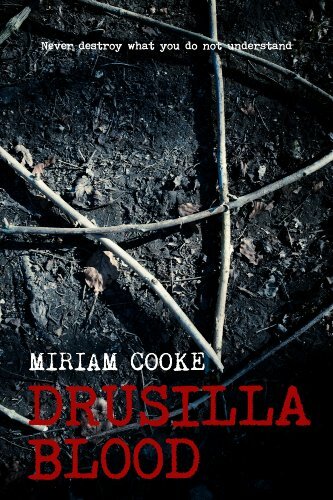 Drusilla Bood by Miriam Cooke has received a perfect 5 out of 5 stars based on 11 customer reviews. I received a note from the author saying this book would be free through July 28th. Edith screamed as her head was forced back by the maelstrom that roared around them. She fought to close her eyes, to shut out the snarling face feasting upon Jago’s swollen tongue. 1911: Edith Sanguine holds a playful séance that goes terribly wrong. Present day: Drusilla Blood, a disgraced archaeologist with a disastrous love life, plunges into a raging fire at a pagan festival and escapes the searing flames miraculously unharmed. Two young women, separated by generations, now share a sinister fate; possession by an ancient being, a sadistic and powerful entity bent on destruction. They must fight a primeval battle against the beast within them, and their deteriorating sanity. Can Drusilla end the malignant legacy that Edith set in motion, hindered by those that wish to control its power for their own ends? A gripping occult thriller where the past and present weave together in a tale of passion, intrigue, murder and the supernatural. USA subscribers: click here or type in http://amzn.to/LTxsP0 into your web browser to receive your free copy. UK subscribers: click here or type in http://amzn.to/MoLDgH into your web browser to receive your free copy. If you haven’t tried it yet – and the app is free – here’s a sweetener for you to give it a try: there has been a minor update that allows the color graphics I’ve been putting in the posts lately. Besides being able to judge the book by the cover, if you tap the book’s cover image it will take you directly to the right spot on the Amazon website to grab your free copy of the book. In other words, you won’t have to try and hit the right tiny spot on the normal “click here” line-items, although that will still be there in each post. Existing users who want to upgrade can either wait for the notification from Amazon and Google to update (which could take a while) or reinstall it using the instructions below. To download and install it from the Amazon App store, you can click here or type in http://amzn.to/freefireapp into your web browser. Here are seven more FREE Kindle books for you in the Amazon Kindle store: as of this posting, each of the books was free on the Amazon website but please make sure you check the pricing before you smack the “buy” button as the pricing can (and does) change at any time! 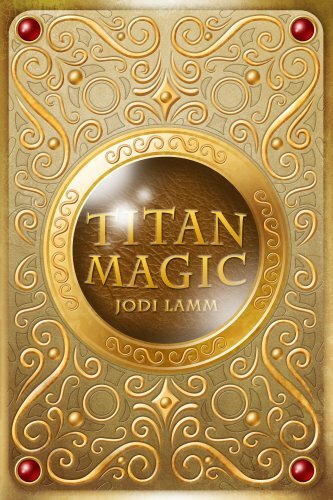 Titan Magic by Jodi Lamm has received an average user rating of 4 out of 5 stars based on 23 customer reviews. USA subscribers: click here or type in http://amzn.to/NLu2Ry into your web browser to receive your free copy. UK subscribers: click here or type in http://amzn.to/PNYBbe into your web browser to receive your free copy. Wishbone by Brooklyn Hudson has received a perfect 5 out of 5 stars based on 35 customer reviews. At the age of nine, growing up in the French countryside, Julien Grenier witnessed the brutal murder of his grandfather. Now, at forty-five, he continues to be plagued by horrific nightmares and reenactments of that tragic event. Living a successful though austere lifestyle on the Upper East Side of Manhattan, Julien has recreated himself, building emotional walls that even his young wife cannot penetrate. Though somewhat moody, Julien is a good man with a heart of gold, and a great sense of loyalty and responsibility; enabling his wife, Rachael, to turn a blind eye to his tightly-kept secrets. Rachael is thirty-two years old; an art dealer and playful free spirit, but after a home invasion assault leaves her emotionally unstable and destroys their care-free and content world, they relocate to a safer environment with the hope of a fresh start. Kings Hollow is a quaint town, nestled in the serene Catskill Mountains of upstate New York. At first, their new home appears to be the miracle they prayed for, until a traditional children’s game begins to destroy their bliss; Rachael is no longer herself and Julien is experiencing a string of bad luck and unfortunate accidents. At the center of it all is seventeen-year-old Sarah, a part-time caretaker on the property. Can Julien and Rachael escape the nightmare of Kings Hollow…or is this just Wishful thinking? 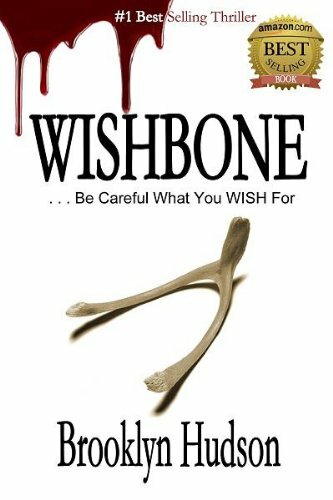 WISHBONE is a multi-layered thriller incorporating several sub-plots; in the vein of Pet Sematary, What Lies Beneath, Misery and Stir of Echoes. Dramatic horror at its best, Brooklyn Hudson takes you on a suspenseful roller coaster ride of emotional turmoil and shocking events. USA subscribers: click here or type in http://amzn.to/KYBaMH into your web browser to receive your free copy. UK subscribers: click here or type in http://amzn.to/LoZMsG into your web browser to receive your free copy. 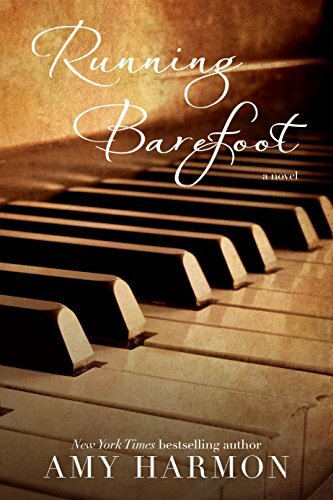 Running Barefoot by Amy Harmon has received an average user rating of 4.5 out of 5 stars based on 47 customer reviews. When Josie Jensen, an awkward 13-year-old musical prodigy crashes headlong into new-comer Samuel Yazzie, an 18-year-old Navajo boy full of anger and confusion, an unlikely friendship blooms. Josie teaches Samuel about words, music and friendship, and along the way finds a kindred spirit. Upon graduation, Samuel abandons the sleepy, small town in search of a future and a life, leaving his young mentor behind. Many years go by and Samuel returns, finding his old friend in need of the very things she offered him years before. Their roles reversed, Samuel teaches Josie about life, love, and letting go. Deeply romantic and poignant, Running Barefoot is the story of a small town girl and a Native American boy, the ties that bind them to their homes and families, and the love that gives them wings. USA subscribers: click here or type in http://amzn.to/MMnjpR into your web browser to receive your free copy. UK subscribers: click here or type in http://amzn.to/MMUZW5 into your web browser to receive your free copy. 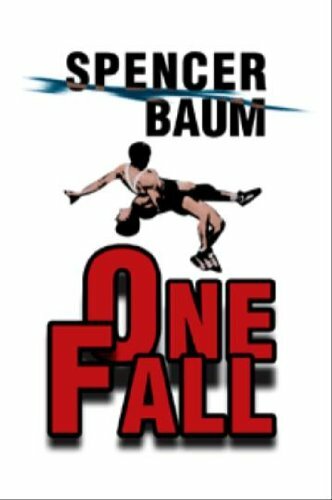 One Fall by Spencer Baum has received an average user rating of 4.5 out of 5 stars based on 23 customer reviews. With one kick, Joey Hamilton has sent the world of professional wrestling into chaos. In his first World Title match, on national television, Joey botched a simple maneuver, turning a scripted wrestling match into a nightmarish reality. Now the World Champion is injured and the locker room is in tatters. With the top spot open, veteran wrestlers are jockeying for position, hoping to become the next megastar, and Joey is their target. With a unique look behind the scenes at America’s most violent dramatic art, One Fall shows the world of professional wrestling in its rawest form. It is a world of violence, drug abuse, backstabbing, and desperation. But it is also a world of pride, honor, guts, and most of all, passion. USA subscribers: click here or type in http://amzn.to/jqG1H2 into your web browser to receive your free copy. UK subscribers: click here or type in http://amzn.to/PO0cxV into your web browser to receive your free copy. 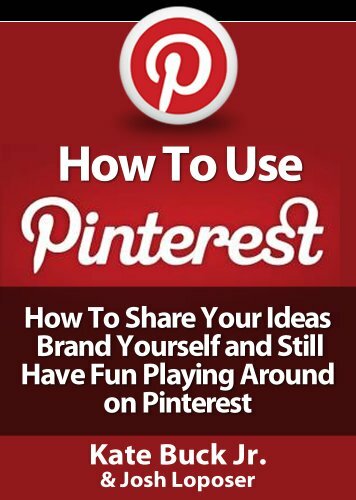 How to Use Pinterest – How to Share Your Ideas, Brand Yourself, and Have Fun Playing Around on Pinterest by Josh Loposer and Kate Buck, Jr. has received a perfect 5 out of 5 stars based on 36 customer reviews. USA subscribers: click here or type in http://amzn.to/Momp1S into your web browser to receive your free copy. UK subscribers: click here or type in http://amzn.to/NLuMWZ into your web browser to receive your free copy. USA subscribers: click here or type in http://amzn.to/yi9qqU into your web browser to receive your free copy. UK subscribers: click here or type in http://amzn.to/JTbvQw into your web browser to receive your free copy. 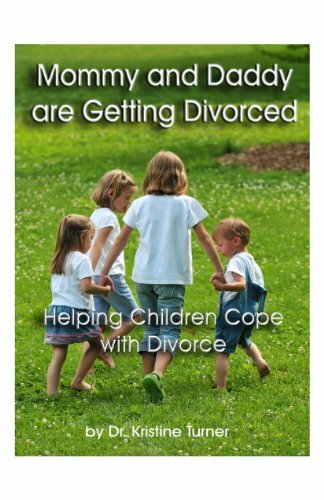 Mommy and Daddy are Getting Divorced – helping Children Cope With Divorce by Kristine Turner has received a perfect 5 out of 5 stars based on 32 customer reviews. How do you explain all the changes that are coming and what it will mean to them? In this read-along-with-your-children book, all the aspects of divorce are explained in an easy-to-understand way. Children will understand better what impact the divorce will have on their lives and that even though they will be going through many changes, that they will still be loved and cared for – only within the new family structure. Dr. Kristine Turner is a clinical psychologist, licensed in the state of Colorado. She received her doctorate from the Pacific Graduate School of Psychology, an APA accredited school, in 1994. One of the original founders of New Beginnings, Dr. Turner has acted as the director of the New Beginnings Parenting After Divorce programs since 1995. Over the years, Dr. Turner has worked with thousands of parents and families going through divorce. Dr. Turner currently resides in Denver, Colorado and is the mother of four children. USA subscribers: click here or type in http://amzn.to/yLgHx5 into your web browser to receive your free copy. UK subscribers: click here or type in http://amzn.to/MomO4y into your web browser to receive your free copy. Here are six FREE Kindle books for you in the Amazon Kindle store to start off your Thursday morning: as of this posting, each of the books was free on the Amazon website but please make sure you check the pricing before you smack the “buy” button as the pricing can (and does) change at any time! 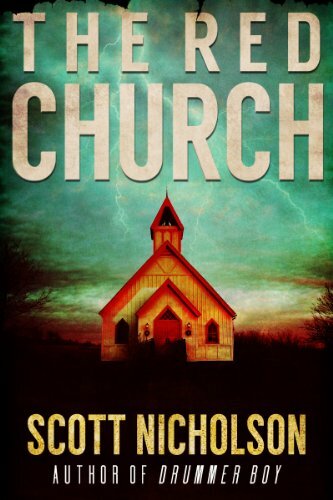 The Red Church by Scott Nicholson has received an average user rating of 4 out of 5 stars based on 140 customer reviews. I received a note from the author saying this book would be free through July 27th. USA subscribers: click here or type in http://amzn.to/ywCws1 into your web browser to receive your free copy. UK subscribers: click here or type in http://amzn.to/Q88IEs into your web browser to receive your free copy. 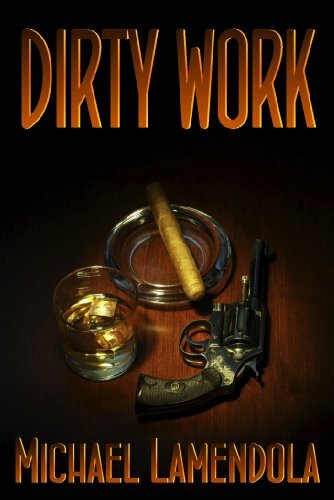 Dirty Work by Michael Lamendola has received a perfect 5 out of 5 stars based on 17 customer reviews. I received a note from the author saying this book would be free through July 27th. USA subscribers: click here or type in http://amzn.to/MvZlhj into your web browser to receive your free copy. UK subscribers: click here or type in http://amzn.to/M7xi9c into your web browser to receive your free copy. 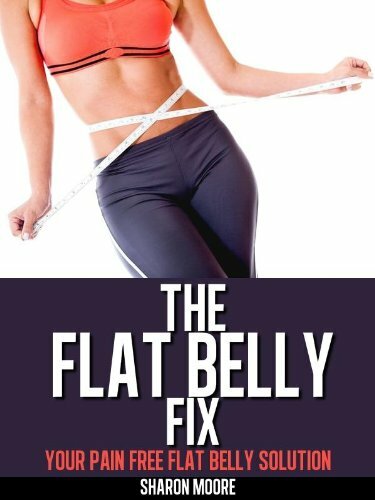 The Flat Belly Fix: Your Pain Free Flat Belly Solution by Sharon Moore has received a perfect 5 out of 5 stars based on 11 customer reviews. I received a note from the author saying this book would be free for today only. Can 5 Simple Exercises That Take Seconds To Perform Really Give You The Flat Belly You Dream Of ? While most flat belly programs are little more than a bunch of ab exercises, re-packaged and re-labelled, “The Flat Belly Fix” is an holistic flat belly program that teaches you everything you need to know to achieve your body transformation goals. •	Postural and structural imbalances that will prevent any ab exercise from working and how to fix them. •	The specific muscle that’s causing your “belly bulge” and how to stretch & release it. •	Why you’re struggling with conventional ab exercises and what you can do about it. •	The back pain / flat belly connection. •	How to eat less without eating less…the “weird” fat belly fix. USA subscribers: click here or type in http://amzn.to/KVbs7d into your web browser to receive your free copy. UK subscribers: click here or type in http://amzn.to/M7vTPT into your web browser to receive your free copy. How to Find the Heart of Bali by Kate Benzin and Rudy Tanjung has received an average user rating of 4.5 out of 5 stars based on 14 customer reviews. I received a note from the author saying this book would be free through July 27th. As Ms. Benzin makes clear in her Introduction, this is not a typical guidebook and does not recommend specific hotels or restaurants. Rather,she gives great insight to the first time traveler to Bali so that he or she can experience a dream holiday in this iconic ‘tropical island paradise’ destination full of culture and wonder..
USA subscribers: click here or type in http://amzn.to/Oo7rJS into your web browser to receive your free copy. UK subscribers: click here or type in http://amzn.to/SV0Lpu into your web browser to receive your free copy. The Zul Enigma by J.M. Leitch has received an average user rating of 4.5 out of 5 stars based on 28 customer reviews. I received a note from the author saying this book would be free through July 27th. 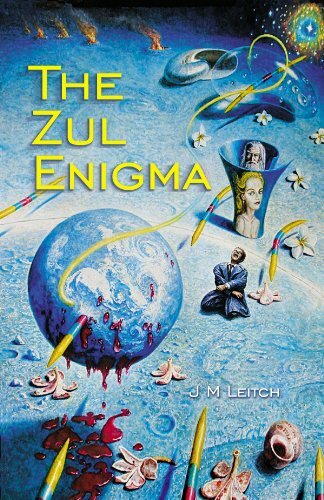 The Zul Enigma, a futuristic thriller fused in reality, seamlessly weaves New Age beliefs with hard, scientific facts. Set in 2068 it follows a quest to expose the perpetrator behind a cataclysmic event that occurs on 21 December 2012, end of the Mayan calendar, that changes the world forever. Underpinned by a theme of betrayal, the novel is set against a backdrop of climate change, overpopulation, world war, alien visitations, presidential plots, global deception and a new world order. 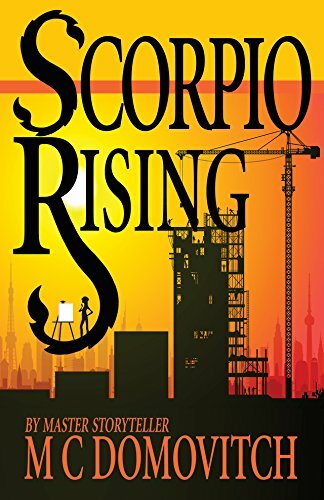 A venomous twist reveals the most horrific conspiracy one could ever imagine and Zul is behind it. But who… or what… is Zul? Buried deep beneath layers of subterfuge lurks the shocking truth. USA subscribers: click here or type in http://amzn.to/M9GdFU into your web browser to receive your free copy. UK subscribers: click here or type in http://amzn.to/Kr1m1f into your web browser to receive your free copy. 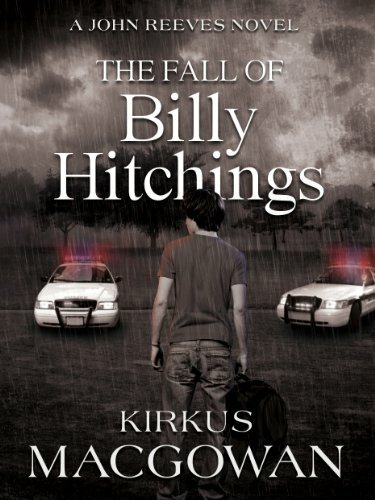 The Fall of Billy Hitchings by Kirkus MacGowan has received an average user rating of 4.5 out of 5 stars based on 57 customer reviews. I received a note from the author saying this book would be free for today only. John Reeves, an ex-Marine, drives to Myrtle Beach to confront his fiancée, hoping to repair their damaged relationship. Instead, he finds her unconscious in the hospital, the victim of an unexplained explosion at a local restaurant. During his investigation, Reeves meets Billy Hitchings, a teenager who knows more about the explosion than he should. Their questions lead to an ancient legacy best left alone. Pulled into yet another crossfire, John Reeves fights to protect his friends and keep a primeval power from falling into the wrong hands. USA subscribers: click here or type in http://amzn.to/LLd98h into your web browser to receive your free copy. UK subscribers: click here or type in http://amzn.to/NCkjhr into your web browser to receive your free copy. Here are an additional four FREE Kindle books for you in the Amazon Kindle store this morning: as of this posting, each of the books was free on the Amazon website but please make sure you check the pricing before you smack the “buy” button as the pricing can (and does) change at any time! The Machine by Tom Aston has received an average user rating of 4.5 out of 5 stars based on 9 customer reviews. I received a note from the author saying this book would be free through July 26th. Steven Semyonov is a 29 year-old tech billionaire. But that’s not why everyone wants to meet him. Billionaires, after all, are commonplace. Everyone want to meet Semyonov because he is the cleverest man alive. So when Semyonov gives up his billions in California and defects to China, never to return, there must be a reason. That reason is something called The Machine. Ethan Stone is ex-Special Forces, turned radical activist. He runs a whistle-blowing leaks web site called NotFutile.com. Has Stone stumbled upon Semyonov’s deadly secret? Stone flies to Hong Kong in pursuit, but the dark forces around Semyonov are ready for him, and he finds himself hunted for murder. He is forced to use every ounce of his cunning to survive, and his resolve to put violent Special Forces past behind him is tested to the limit. 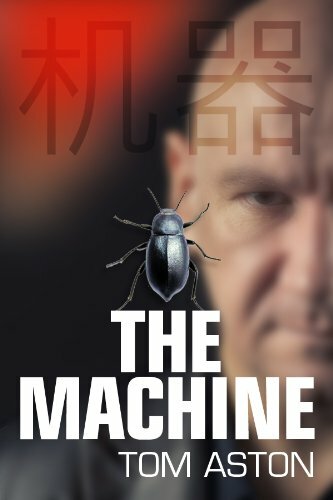 Stone enlists the help of a spiky Chinese dissident woman named Ying Ning, and travels deeper and deeper into China.to evade the sinister Public Security Bureau, track down the truth about Semyonov, and ultimately to find The Machine. Deep beneath an ancient crater in the foothills of Tibet lies The Machine – the reason Semyonov gave up everything to come to China, the reason he gave away his billions. Only Semyonov’s not the only one who wants to find it. USA subscribers: click here or type in http://amzn.to/OYeYx8 into your web browser to receive your free copy. UK subscribers: click here or type in http://amzn.to/LMx6K5 into your web browser to receive your free copy. Gemma at Rainbow Farm: The Beginning by Sally James has received an average user rating of 4.5 out of 5 stars based on 9 customer reviews. I received a note from the author saying this book would be free through July 26th. 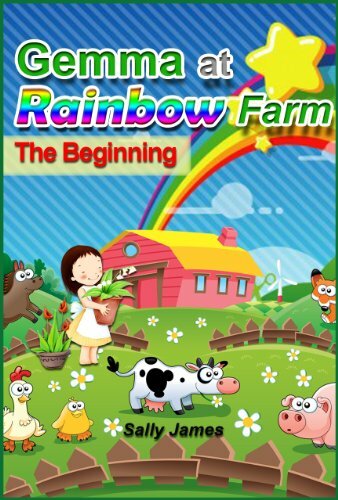 Gemma at Rainbow Farm – The Beginning, is a story about 7 year old Gemma and her new life at Rainbow Farm. Gemma is moving from her old town house to her new home at Rainbow Farm. As she explores her new home she discovers its true magical nature. She finds that she can talk to the animals and birds, and meets a wonderful new friend that starts to show Gemma just what is possible at this special place. This is the first in a series of books about Gemma, and you can go with her as she has a wonderful first day exploring her new home and making new friends at Rainbow Farm. USA subscribers: click here or type in http://amzn.to/LMxt7w into your web browser to receive your free copy. UK subscribers: click here or type in http://amzn.to/PXXhiB into your web browser to receive your free copy. 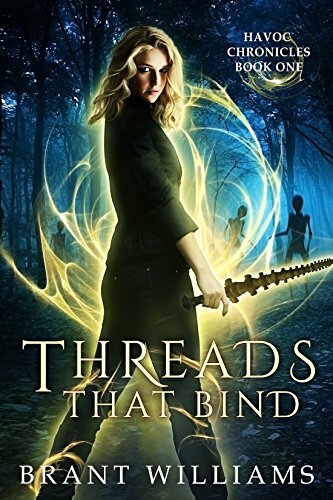 Threads That Bind by Brant WIlliams has received an average user rating of 4.5 out of 5 stars based on 30 customer reviews. I received a note from the author saying this book would be free through July 26th. USA subscribers: click here or type in http://amzn.to/MVAWkW into your web browser to receive your free copy. UK subscribers: click here or type in http://amzn.to/NtZJlh into your web browser to receive your free copy. 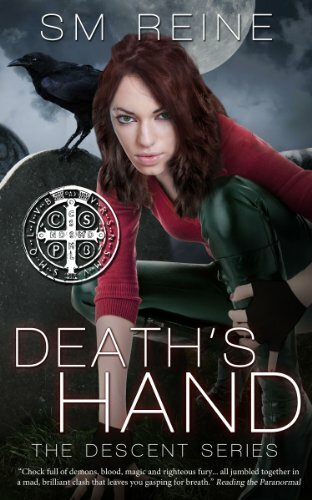 Death’s Hand by S.M. Reine has received an average user rating of 4 out of 5 stars based on 29 customer reviews. I received a note from the author saying this book would be free through July 26th. Policing relations between Heaven, Hell, and Earth is messy and violent, but Elise Kavanagh and James Faulkner excelled at it–until coming across a job so brutal that even they couldn’t stand to see one more dead body. Now they’ve been pretending to be normal for five years, leaving their horrific history a dark secret. Elise works in an office. James owns a business. None of their friends realize they used to be one of the world’s best killing teams. USA subscribers: click here or type in http://amzn.to/uZmbZZ into your web browser to receive your free copy. UK subscribers: click here or type in http://amzn.to/M7ZNr0 into your web browser to receive your free copy. Here are six FREE Kindle books for you in the Amazon Kindle store to start off your Tuesday: as of this posting, each of the books was free on the Amazon website but please make sure you check the pricing before you smack the “buy” button as the pricing can (and does) change at any time! 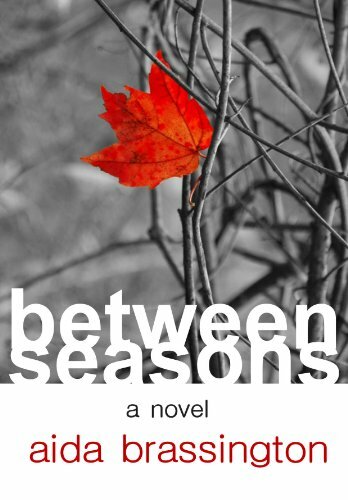 Between Seasons by Aida Brassington has received an average user rating of 4.5 out of 5 stars based on 35 customer reviews. I received a note from the author saying this book would be free through July 26th. USA subscribers: click here or type in http://amzn.to/MVt3fp into your web browser to receive your free copy. UK subscribers: click here or type in http://amzn.to/OY0D3V into your web browser to receive your free copy. 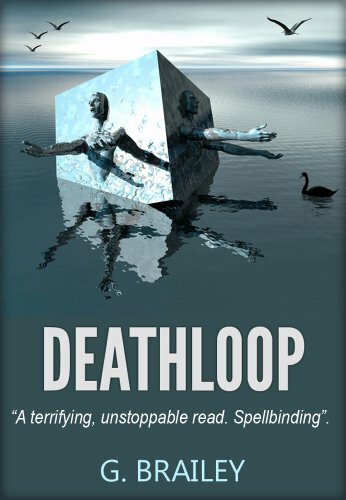 Deathloop by G. Brailey has received an average user rating of 4.5 out of 5 stars based on 7 customer reviews. I received a note from the author saying this book would be free through July 26th. When successful, charismatic lawyer, Zack Fortune, reluctantly agrees to take part in past life regression, the visions that confront him during the hypnosis are so horrific he cuts the session short. But the following day, a young woman, completely unknown to Zack, standing on a high roof calls out to him by name asking him to catch her, moments before she jumps and kills herself. When a strange boy starts to stalk him, and an ex-girlfriend accuses him of assault, suddenly Zack’s perfect world starts descending into chaos, and when, one by one, he comes across more strangers who call out to him to save them, moments before they die in tragic circumstances, Zack embarks on a desperate journey of survival besieged by demons that are determined to destroy him and drag him back to hell. USA subscribers: click here or type in http://amzn.to/LMnajK into your web browser to receive your free copy. UK subscribers: click here or type in http://amzn.to/NtTePf into your web browser to receive your free copy. Twenty Weeks by Melisa M. Hamling has received an average user rating of 4.5 out of 5 stars based on 15 customer reviews. I received a note from the author saying this book would be free through July 29th. Sixteen-year-old, Maya Rockwell, has it all: a new set of wheels, straight-A grades, and Alex, a hotter than Hades boyfriend with the personality of an angel. When her best friend kicks off the biggest party of the school season, Maya and Alex jump at the invite for some innocent fun, certainly not the drugs and predatory older crowd they confront. Maya barely escapes with her life: hers and another new one. She thought she had the answers, but in one terrifying moment, she can no longer pretend to be ignorant. USA subscribers: click here or type in http://amzn.to/OlFKS7 into your web browser to receive your free copy. UK subscribers: click here or type in http://amzn.to/MllFdY into your web browser to receive your free copy. 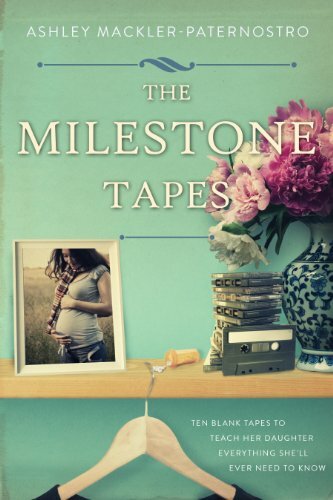 The Milestone Tapes by Ashley Mackler-Paternostro has received an average user rating of 4.5 out of 5 stars based on 18 customer reviews. I received a note from the author saying this book would be free through July 27th. USA subscribers: click here or type in http://amzn.to/JeIPSg into your web browser to receive your free copy. UK subscribers: click here or type in http://amzn.to/KLLLEC into your web browser to receive your free copy. 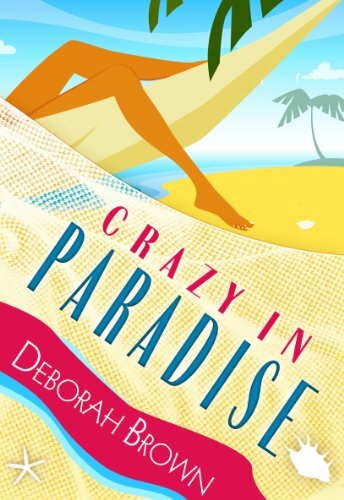 Crazy in Paradise by Deborah Brown has received an average user rating of 4 out of 5 stars based on 28 customer reviews. I received a note from the author saying this book would be free through July 26th. Dying in the middle of the summer in the Florida Keys is sweaty business. Welcome to Tarpon Cove. Madison Westin inherits her aunt’s beachfront motel along with a variety of colorful tenant’s – drunks, ex-cons and fugitives. Only one problem: First she has to wrestle control from her lawyer and conniving motel manager. She enlists the help of her new best friend who’s motto is never leave home without your Glock. Only in South Florida, land of hot tan lines, drugs on demand – not to mention blackmail and murder. USA subscribers: click here or type in http://amzn.to/OlGg2l into your web browser to receive your free copy. UK subscribers: click here or type in http://amzn.to/LMdEBK into your web browser to receive your free copy. 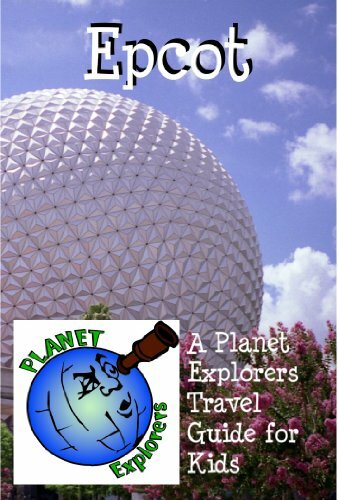 Epcot 2012: A Planet Explorers Travel Guide by Laura Schaefer has received a perfect 5 out of 5 stars based on 5 customer reviews. I received a note from the author saying this book would be free through July 26th. Epcot is easily the most unique theme park on Earth. The combination of Future World and the World Showcase gives the park its wonderful World’s Fair spirit. Where else can you blast off to Mars, watch Michelangelo at work, visit Italy, eat lunch in Japan, and soar through the sky over California–all in a single day? Epcot is the perfect place to try a French pastry for lunch and German schnitzel for dinner. You’ll love the park’s beautiful gardens and amazing live performers. At the end of your perfect day, Illuminations: Reflections of Earth will dazzle your family with lights, fireworks, lasers, water fountains, music and fire. Read through this guide written just for kids aged 8-12 for insider information about what you’ll see at every attraction and pavilion. There are fun facts, tips, restaurant listings and photos for every World Showcase country and Future World pavilion. Take note of some useful symbols. These will appear throughout the book as attractions are mentioned. Don’t miss the other titles in the exciting Planet Explorers series for young travelers. There’s Planet Explorers Walt Disney World 2012, Planet Explorers Disneyland, Planet Explorers Disneyland Paris Resort, Planet Explorers New York City 2012, Planet Explorers Chicago, Planet Explorers Philadelphia, Planet Explorers Las Vegas, Walt Disney World Character Finder 2012, Planet Explorers Disney Cruise Line, Universal Orlando Resort, The Wizarding World of Harry Potter 2012, and LEGOLAND Florida 2012. Have fun! USA subscribers: click here or type in http://amzn.to/N0Sc7v into your web browser to receive your free copy. UK subscribers: click here or type in http://amzn.to/OY4bD8 into your web browser to receive your free copy.